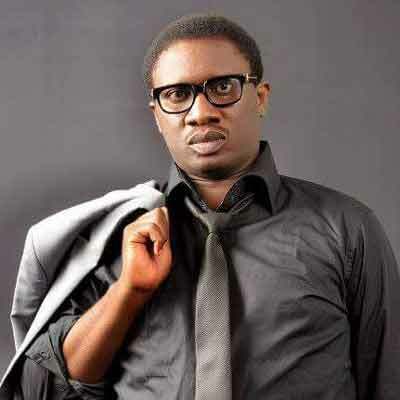 Nigerian media and entertainment personality, Emma Ugolee wrote recently on his take on the issue about famzing with celebrities, who don’t even care about others, while people struggle so hard to get just their attention. NaijaOnlineTV bring you the excerpts. Before my NYSC in 2000, I had only been to the south west once at age 3 visiting the Apapa amusement park with family. Born and bred in the North with University education in the East, Lagos was a clean slate for making friends. No childhood friends or relatives in Lagos for me. Since my first job was in the media, a large chunk of my only companions naturally became entertainment and media personalities : Models, Actors, Comedians, Presenters, Musicians, etc. Trust me when i say its a weird experience to have these ones form the majority in your every day world. I have never seen make believe almost become reality. Fakeness and vainess in the most lofty of positions. Never seen such desperation to retain status and the lowness employed at machinations with everyday socio-business dealings is most unhealthy for the spirit. Truth is, as much as it is erroneous to make this a blanket rule (as some of the most priced souls I know have come from this world) the pressures of their world mould many of them into personalities you’ll rather know from a distance. But sitting here, the irony I observe is i yet have never seen a group of people whom everybody wanted to be identified with without a single care about who truly is behind the veil. I am not talking the average fan on the streets. No, regular guys who become aquaintances to these or have business or social reasons for interaction with them. People spending money just to please celebrities they hardly know or may not even like. Struggling too hard to be accepted in this circles while being too busy for people who truly care about them. Sadly, even family atimes. Ashamed of people with real substance because they are of lowly means or would not turn heads publicly while quick to be associated with popular figures, many whose friendship I can guarantee is worth a trophy made with kpali and cigar foil. Some of the world’s fakest and emptiest souls are celebrities. So you have popular people around you, who do you celebrate? Why do you celebrate them? Reassess your heroes today, those whose story you are proud to tell, whose association with you, you are proud to show off. Express your appreciation to the right people. People who bring more value to your real world. This could be a supportive teacher, loyal driver, hard working market retailer, your trusted banker, kind nurse, great boss, self sacrificing mother, resilient sick relative, or talented orphanage child, a loyal gateman, a true colleague…. Real heroes with real values. Celebrate the right people today. Not everytime famzing celebrities.